This board marks a new chapter for Boosted! They have spent years conducting research and obtaining rider feedback so that they could develop the perfect board. They introduce the Boosted Plus. They have engineered each part of the board to withstand the demanding needs of electric skateboarding. The brand new Super Flex composite deck retains its iconic flex and its deep carving capabilities that the Boosted brand is so well known for while adding next level strength and vibration dampening. Boosted have custom-designed their 85mm Stratus wheels to provide a secure and stable ride with the perfect amount of grip and roll. 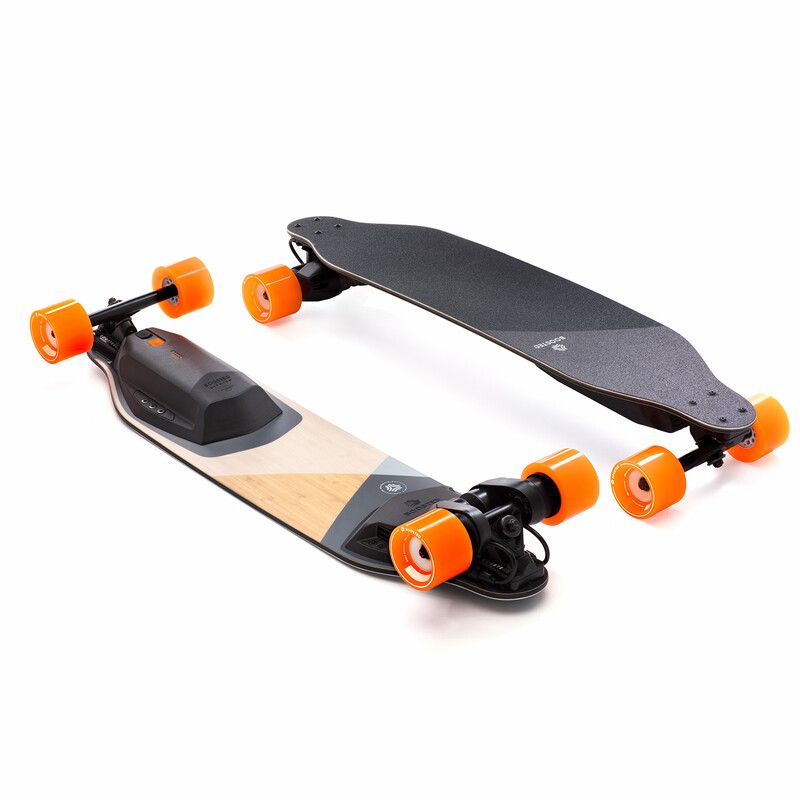 The Boosted Plus has four riding modes which make it the perfect board to offer acceleration and power for all levels of rider ability. The Boosted Plus is an instant classic.